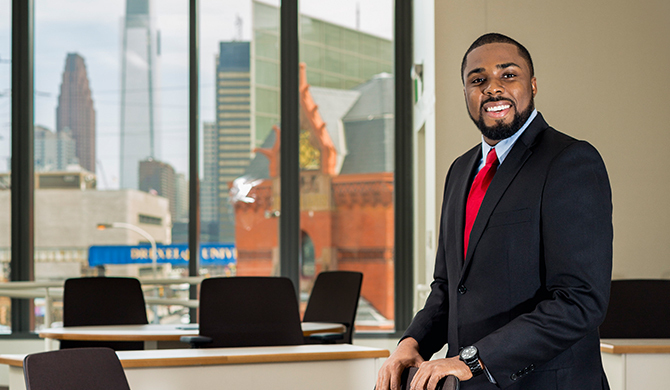 For Bryant Okoroji, an MBA summer internship at Simon Property Group turned into a full-time landing after graduation in the company’s corporate management training program in Indianapolis, Ind., where he will analyze potential mergers, acquisitions, dispositions and development projects. Knowing he wanted to work in real estate, Okoroji set out to build a resume while studying for his MBA; he also gained experiences at Campus Apartments and Balfour Beatty Investments. A team of LeBow undergraduate students, dubbed the LeBow Dragons, recently took first place in the National Diversity Case Competition, beating out 35 schools from across the United States, including Penn, which placed fifth.